When the trailer for a possible Mortal Kombat live-action reboot launched online, there was massive debate as to whether it was indeed a trailer for an upcoming movie or it was fan-made. With such a stellar cast (including ST: V‘s Jeri Ryan and The Dark Knight‘s Michael Jai White) and impressive story idea alongside second-to-none production values, it was clearly the work of talented people. It turned out that the video was indeed a fan-made pitch video and massive disappointment lead from this news. However, the pitch had worked. Warner Bros signed a deal with the director Kevin Tancharoen (Fame remake) to produce a 10-part webseries which focused on Jax (White). 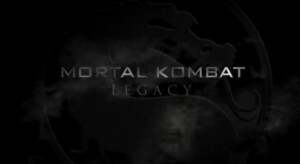 Re-entitled Mortal Kombat: Legacy, the first episode dropped today on Machinima.com and each subsequent episode will air every Tuesday for the next ten weeks. The first episode features the obligatory set-up and not much else. Acting-wise, Jeri Ryan is the best thing so far with BSG/Dollhouse‘s Tahmoh Penikett coming in a close second. Darren Shahlavi (300), who plays Kano, is utterly disappointing and has obviously graduated from the scowly-look-clench-jaw school of acting that has produced other famous man-actors like Marc Blucas. The fight scene between Kano and Jax is okay, but there’re a few moments where it looks like they’ve forgotten what they’re supposed to do next and stall for a little over the required amount. The production value is incredibly high for a webseries, and the direction is excellent. Not much can be really said about the script, it’s fine. It works and it serves to produce a believable and gritty story set-up. It’ll be interesting to see if Kano and Jax will become bionic anytime soon and what characters we’ll be introduced to next. It’s not your typical tournament style MK set-up, it’s focusing on a “real-world” story and I reckon it will lend well to this. I’m unsure as to whether I will enjoy this series as much as I’d hoped. However, I will await patiently for the next installment.